Joy! | Flickr - Photo Sharing! He so loves the chickies, and when I let them out of their cage for a little running around, they just follow him everywhere. They love him, too. rob_pym, DumpyFrog, equuspower, and 27 other people added this photo to their favorites. Beauty is in the *Eye* of the Beholder! Can Bjarki be more adorable???? You are definitely a Bird Watcher! 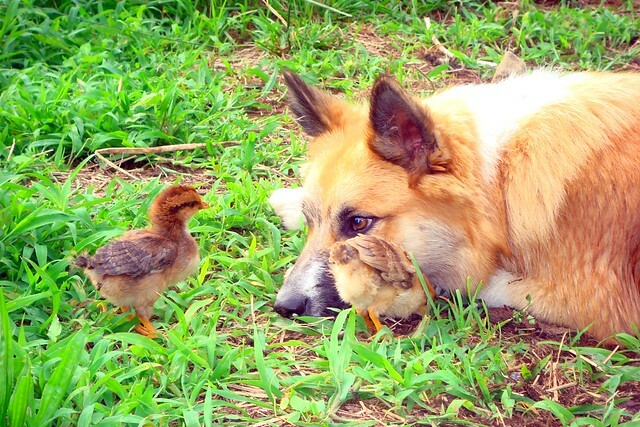 and tag your photo ""Bird Watcher""
This is a great capture,what a cool dog to let them be so close. Hi, I'm a member of a group called Five Flickr Favs, and we'd love to have your photo added to the group. TAG5 Contests. One Contest per invitation please. Seen in Five Flickr Favs. Stunning ,Thank you for posting it in our 2007 best photo Contest. this is wonderful!!!! what a moment! I am a Moderator for the LOL DOGS Invited Photos Only! Thank you for sharing your HILARIOUS dog photo! LOL DOGS Invited Photos Only! LOL DOGS - Invited photos only! This is such a sweet shot! Hi, I'm an admin for a group called Chickens ROCK! !, and we'd love to have this added to the group!